India's squad for the World Cup. Is Dinesh Karthik the right choice? Are India light on the pace department? These are the top three questions - or areas of concerns, if you will - around the Indian squad for the World Cup 2019. The No. 4, first. If MSK Prasad's press conference is anything to go by, India will go into the World Cup with the No. 4 dilemma unsolved. In short, India will go into the World Cup with a No. 4 batsman who, wait for it, hasn't batted at No. 4 in ODIs yet. 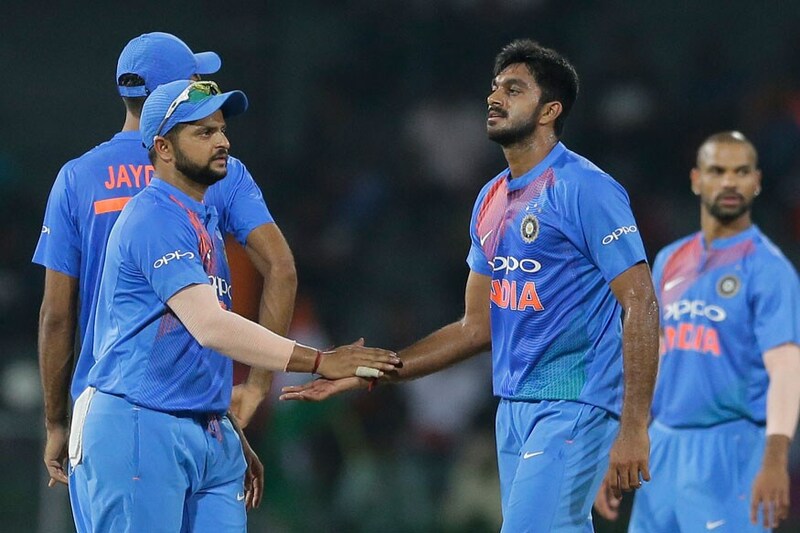 Vijay Shankar is the man likely to start in that position, and he will likely have two warm-up matches before India's first game to get into the groove. While it might sound risky, the decision might not be a bad one, for Vijay has shown adaptability to different situations in the limited chances he has got so far. While he has not batted at No. 4 yet, he has shown aspects of his batting that might suit the position. The importance of a solid No. 4 is most when the team is in early trouble, or when they need a batsman to rotate in the middle overs. Two knocks of Vijay should have convinced the selectors of such qualities; the way he rescued the team from 18 for 4 against New Zealand in Wellington, and the positive manner in which he approached the situation walking in at 75 for 3 against Australia in Nagpur. Vijay seemed fluent and solid in both the occasions, but was run out in unfortunate circumstances. The lack of a big knock is a concern, but the two matches showed that Vijay has the ability. India will be hoping it converts to performances at the World Cup. He'll have a trial by fire, for India's first four opponents are South Africa, Australia, New Zealand and Pakistan. Incidentally, the man Vijay replaced was the player who scored that 'big' knock in the Wellington game. Ambati Rayudu scored 90, but his form has dipped rather drastically since. Vijay's ability to chip in with medium pace has worked in his favour. In some ways, the untested nature of Vijay at No. 4 might have contributed to India going with Dinesh Karthik over Rishabh Pant. Karthik was tested at the position for the longest time after the Champions Trophy 2017. He averaged more than 50 there, but his strike-rate in the 70s and the lack of big knocks worked against him too. Pant could have been the X-factor and the only left-handed middle order option, but India would have had too many untested middle order options in Vijay and Pant in such a scenario. Prasad made it clear that the second wicketkeeper was only a back-up to Dhoni, but Karthik could also be in contention for a middle order spot if his state-mate doesn't get going immediately. While it's unlikely, India also have a couple more options for No. 4 - KL Rahul and Virat Kohli. However, that's likely to be used only as Plan B. The chief selector too said Rahul will be considered only as the third opener initially. Rahul has scored only 63 runs from seven matches outside the opening position, with a highest of 26. That came from No. 3 in the only ODI he played in India's latest ODI series, against Australia at home. In the ongoing IPL, Rahul has shown ability to bat long and calm, which could boost India's confidence in him as a middle order option for the World Cup. That could also lead to Plan C, with Rahul at 3 and Kohli at 4. Ravi Shastri had spoken about the possibility earlier, suggesting the top three - Rohit Sharma, Shikhar Dhawan and Kohli - could be split if India encounter conditions or situations that favour pace. 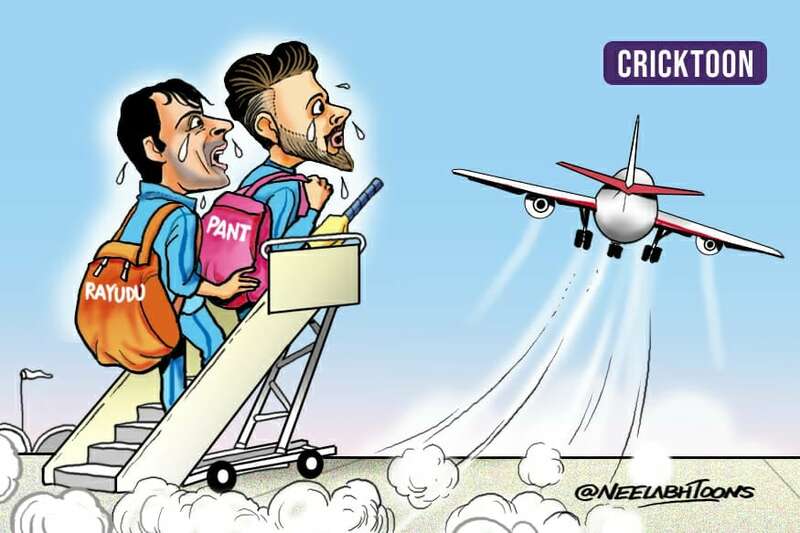 The three best batsmen falling early cost them the Champions Trophy final in England, and that could be avoided with such a strategy. Kohli is India's best No. 3, but he is no stranger to No. 4 too. In 38 innings at No. 4, he has 1751 runs at an average of 56.48 with seven 100s and eight 50s. Kohli at four could solve many problems for India on paper. However, the last time Kohli batted at No. 4 before this game was in October 2015. Beyond the middle order conundrum, India's only issue is their thin pace unit. Jasprit Bumrah, Mohammed Shami and Bhuvneshwar Kumar are the only frontline pacers. However, workload issues should not be an issue as India will have four other pacers accompanying them as net bowlers. They can also be roped in as replacements should the need arise. The presence of Hardik Pandya and Vijay mean India are unlikely to go with all three pacers unless they get a green track, given the thin pace resources. Bumrah is a guarantee, which means India will have to decide on Shami vs Bhuvneshwar. The latter's form has been a bit of a worry in recent times, but Shami and Bumrah along with Yuzvendra Chahal and Kuldeep Yadav will make India's batting thin. Will that work in Ravindra Jadeja's favour? While the focus is on the batting combinations, the bowling permutations could prove just as crucial too. The good thing, though, is that India have plenty of options for every situation.